In this study, researchers recruited patients who were scheduled to undergo chest tube drainage and talc slurry pleurodesis for the treatment of symptomatic MPE. Researchers from the University of Oxford in the United Kingdom found that a pleural adherence score derived from thoracic ultrasound (TUS) at 24 hours post-talc administration is predictive of long-term pleurodesis success in patients with symptomatic malignant pleural effusion (MPE). Findings were published in CHEST. In this prospective observational cohort pilot study (ClinicalTrials.gov Identifier: NCT02625675), the researchers recruited patients who were scheduled to undergo chest tube drainage and talc slurry pleurodesis for the treatment of symptomatic MPE (18 individuals). Immediately before and 24 hours after talc slurry administration, participants underwent a TUS to identify pleural adherence scores for the affected hemithorax. The TUS scans were recorded by 2 independent blinded assessors. Rate of pleurodesis success at 1- and 3-month follow-up comprised the primary outcome. At 24 hours following talc instillation, a lower pleural adherence score was observed in participants who suffered pleurodesis failure compared with participants who experienced pleurodesis success (difference, 6.27; 95% CI, 3.94-8.59). None of the 11 participants who experienced pleurodesis success at 1-month follow-up experienced delayed failure prior to death (4/11; 36.4%) or at 3-month follow-up (7/11; 63.6%). The mean TUS-associated pain score on the visual analogue scale was 8.9 mm (SD, 12.9; 95% CI, 1.8-16.1). The TUS scoring was consistent with both assessors (intraclass correlation coefficient, 0.762; 95% CI, 0.605-0.872; P <.001), and patients reported a high level of acceptability of TUS examination. 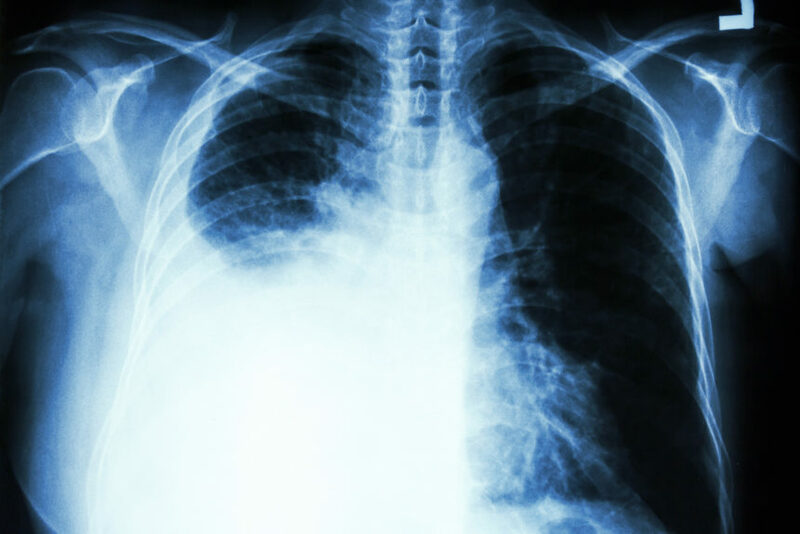 Limitations of the analysis included the small number of patients as well as recruitment from a center with TUS and pleural disease expertise.